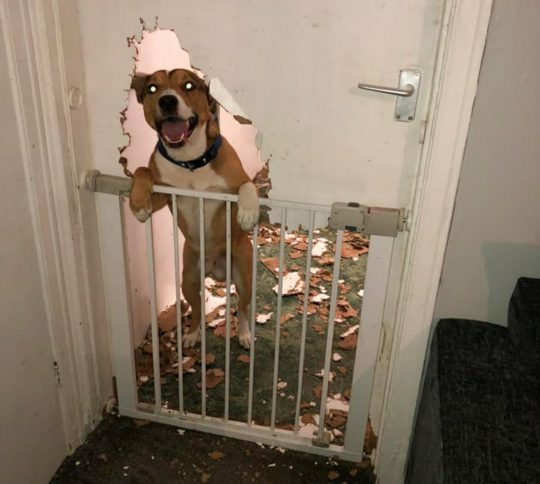 This dog looks more than a bit pleased with itself after chewing an entire door to bits. Stacie Postill, 25, took this hilarious photo of Benny posing in the middle of his dog-shaped hole just after catching him in the act. 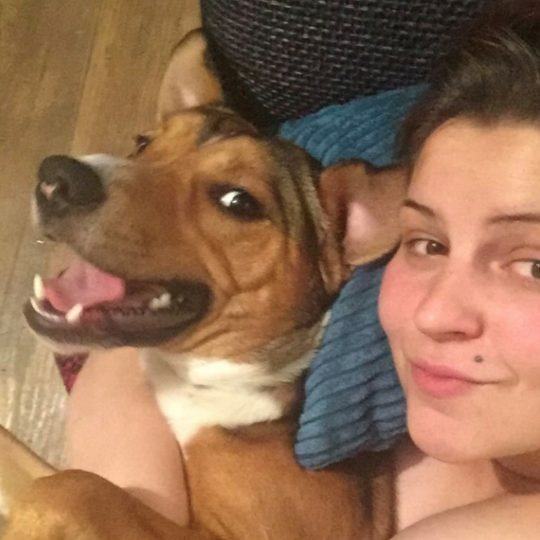 She said she found him wagging his tail ‘looking pleased with himself’ after leaving him alone for a few hours. Benny is a cross between a Staffordshire bull terrier and a German Shepherd so he’s got a fair bit of chomping power. The mum-of-one is baffled as to how Benny managed to create a hole so big. There was simply no saving the door and she tossed it on the bonfire. Stacie, from Leeds, said: ‘I was creasing because I walked in and suddenly his head just popped out of the door and he was so happy with himself. ‘The first thing I saw when I got in was Benny wagging his tail, looking at me as if to say ‘look at what I’ve done’.